You are a licensed health/mental health professional AND a member of San Gabriel Valley CAMFT. You are a student, associate, or affiliate in the field of mental health care AND a member of San Gabriel Valley CAMFT. You are a licensed mental health care professional, but not currently a member of San Gabriel Valley CAMFT, nor any neighboring chapter (IE, LA, OC, SFV). You are a student, associate or affiliate in the field of mental health care, but not currently a member of San Gabriel Valley CAMFT, nor any neighboring chapter (IE, LA, OC, SFV). You are a licensed health/mental health professional AND a member of a surrounding local Chapters (IE, OC, LA, SFV). The loss of a loved one is perhaps one of the greatest pains we experience as humans. When a loved one dies in a sudden manner from an accident, health crisis, addictive substance or suicide, traumatic grief may result. Traumatic grief often complicates the bereavement process and produces unique psychological consequences. For clinicians who work with individuals grieving the death of a loved one, it is imperative to understand the different physical, psychological and behavioral repercussions that often occur. The following workshop will provide participants with a basic understanding of traumatic grief, complicated bereavement and treatment challenges in order to facilitate mourning within the context of trauma. The workshop will also explore how to facilitate post traumatic growth in clinical practice. Define what constitutes traumatic grief and how the traumatic grief experience differs from non-traumatic grief. Understand the DSM differential between grief, traumatic grief, prolonged grief and complicated bereavement. Develop an awareness of evidence-based treatments used with traumatic grief and complicated bereavement. Identify community and national resources available to clients for traumatic grief. Conceptualize major constructs within Post Traumatic Growth. Jennifer R. Levin, MFT, PhD, FT is a licensed marriage and family therapist who works with adolescents and teens, adults, families and couples experiencing health crises, traumatic grief, life threatening illness and post traumatic growth. 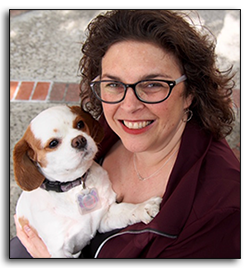 She received her doctorate in Public Health from UCLA where she focused on the psychosocial needs of women living with metastatic breast cancer at the end of life. She served as the Executive Director of Hospice of Pasadena prior to returning to school to obtain her masters in Clinical Psychology from Pepperdine. In 2017 she became a recognized fellow in Thanatology, the Study of Death, Dying and Bereavement from the American Association of Death Education and Counseling. Dr. Levin developed and implemented the teen grief program at Adventist Health Glendale which currently serves teens ages 10-18 in her Pasadena office. She also facilitates a weekly traumatic grief support group for young women and a spousal loss group for middle age adults. She is often called upon to provide psychological support to our community when unexpected deaths occur and regularly provides trainings related to anticipatory grief, constant sorrow, caregiving self-care and traumatic bereavement to schools and community organizations. Dr. Levin is a Psychology instructor at CSULA and provides frequent community workshops to help grieving individuals cope with the long term impact of grief. San Gabriel Valley Chapter of CAMFT (Provider # 60957) is approved by the California Association of Marriage and Family Therapists to sponsor continuing education for LMFTs, LCSWs, LPCCs, and/or LEPs.